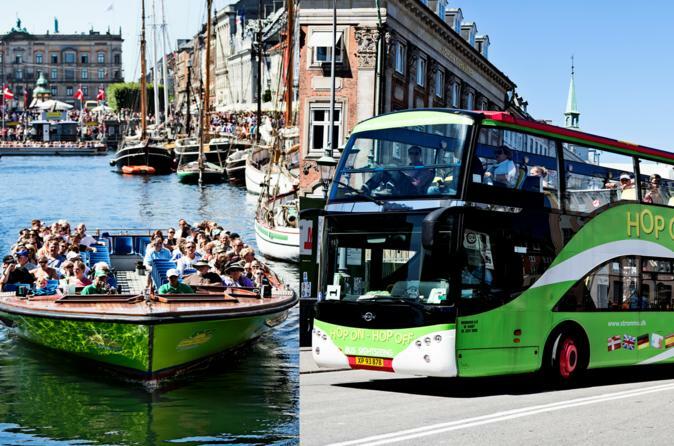 Get a comprehensive tour of Copenhagen via train, boat, and hop-on, hop-off bus. Purchase your ticket ahead of time go guarantee that you'll make the most of the 72 hours you have to use it on three bus routes, a city train route, and a boat tour. Explore independently when you hop off wherever you like, which allows you to tailor your itinerary to your interests. Ticket also allows skip-the-line entry to the famous Tivoli Gardens. When you’re ready to take a rest from sightseeing, hop off at Ved Stranden It’s a lovely area by the Canal lined with bars that spill onto the pavement. It's the perfect spot for a beer with the locals. Mermaid Tour, duration 1,30 hrs. Carlsberg Tour, duration 30 min. Boat Tour, duration 1 hr, 30 min.